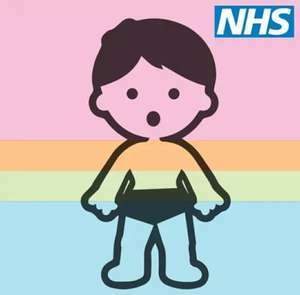 Child’s health, an NHS guide for parents and carers of children aged 0-5 years. 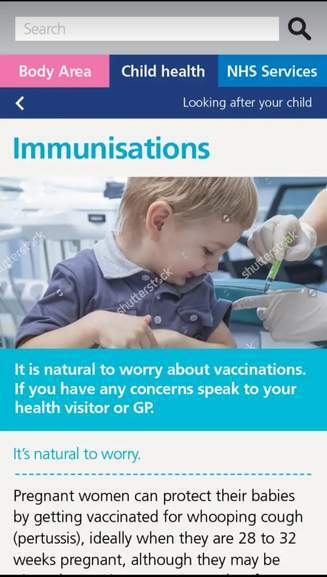 Looking after your child’s health, an NHS guide for parents and carers of children aged 0-5 years. Developed by hospital specialists, doctors, health visitors and pharmacists this app will give you lots of useful hints and tips from experts in child health from everything from oral health, upset tummies and diarrhoea to advice on bumps and bruises. This app is intended to help you know what to do, and where to go, when you are looking after an unwell child. Is there a link to App Store? Can’t seem to find it. My fault. This is the one that came up. Any apps to help with daft grandads? My fault. This is the one that came up. Any apps to help with daft …My fault. This is the one that came up. Any apps to help with daft grandads? Catch ap is a really good nhs ap too if your area commissions it. Heat for sharing @Mrswitch If it could prevent/help one unfortunate incident, it would be worthwhile. Thank you ! An 'NHS' app with only 10k downloads on Google play?! Gotta be a fake! The developer does other unrelated apps too. An 'NHS' app with only 10k downloads on Google play?! Gotta be a fake! The …An 'NHS' app with only 10k downloads on Google play?! Gotta be a fake! The developer does other unrelated apps too. Was advertised on the radio yesterday, and it's a fairly new app, so I'd guess those two put together comes up with an answer? Or not?